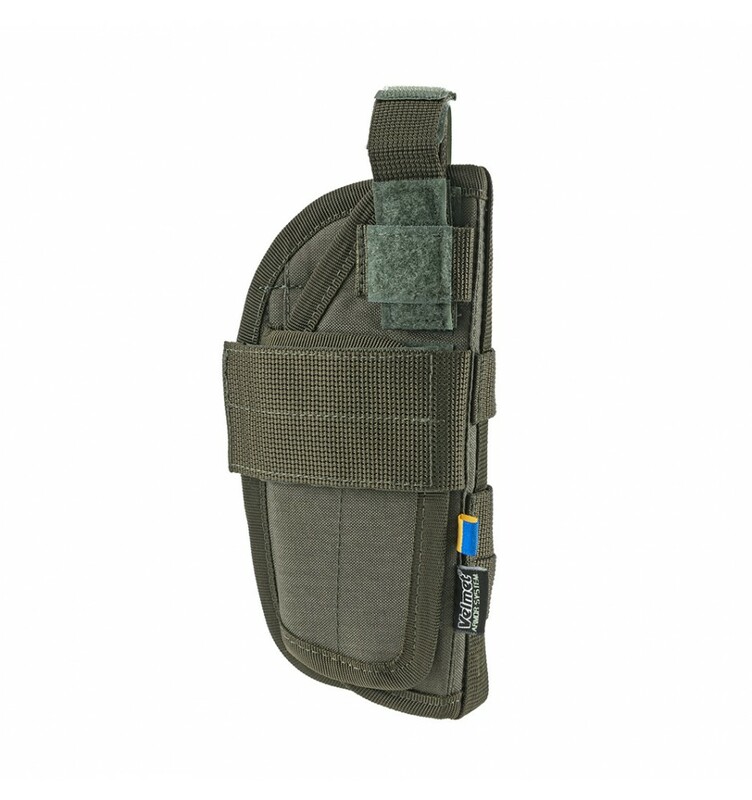 Universal holster SF Ranger Green is a tactical accessory for reliable fixing and transportation of short-barrel weapons of various models (including - with installed silent shooting devices), which is part of the line of equipment from the Ukrainian brand VELMET. 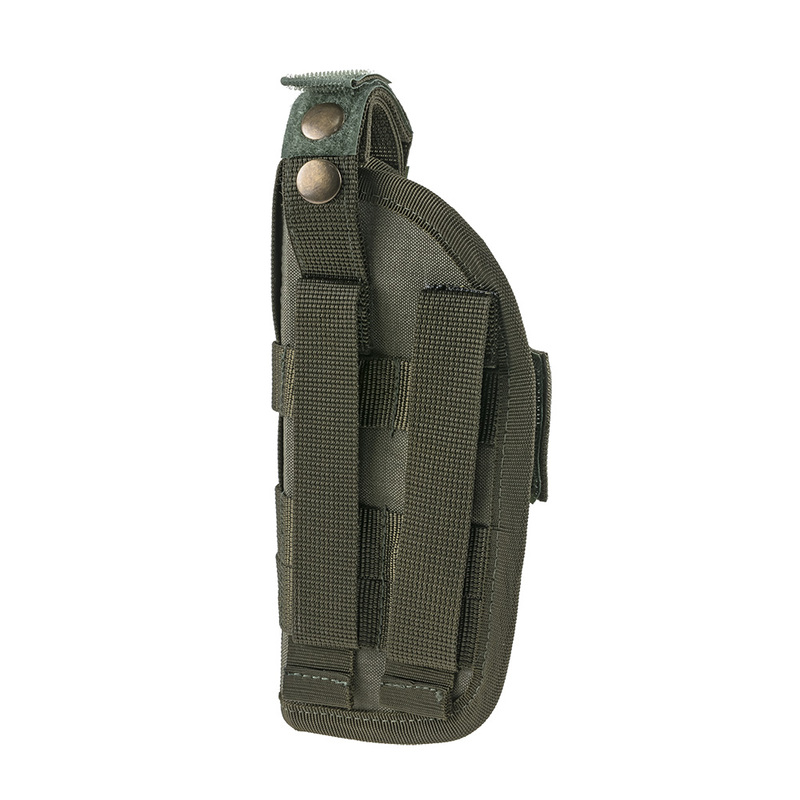 Universal Holster SF, which you can buy at a cheap price right now, using the convenient functionality of our online store, ensures the safe and convenient placement of weapons, and the prevention of spontaneous fall-outs. The upper lock on two positions ensures the quickest opening of the holster. The volume of the tactile accessory is controlled by an external valve with a textile buckle. 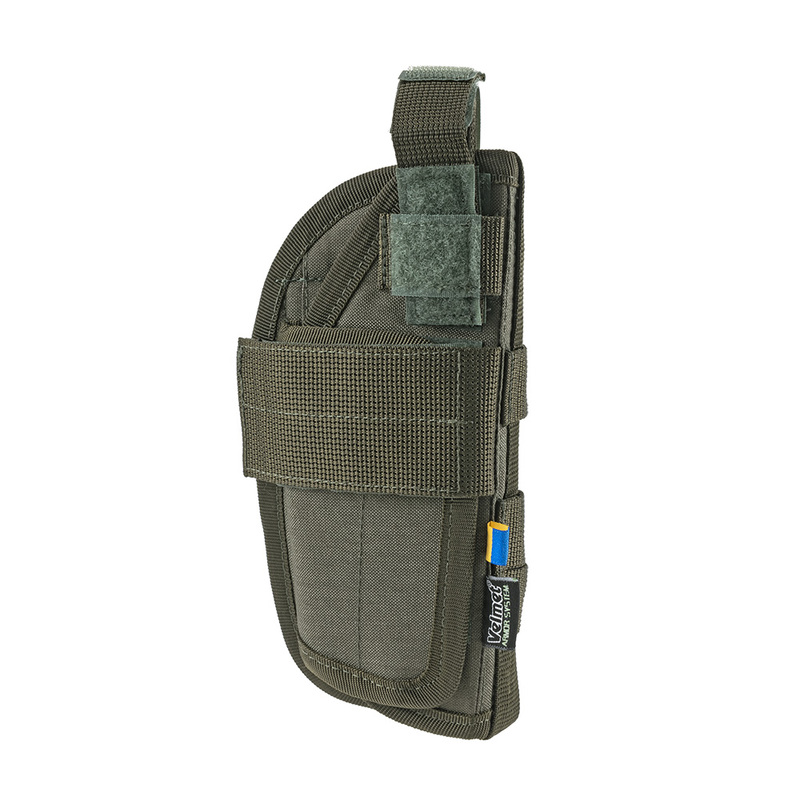 • The semi-rigid panels, on the back, are equipped with elements of the universal MOLLE system with locks (provide convenient and reliable attachment of the universal holster to the main equipment). • Short-arm weapon position control system inside tactical accessory. • Upper latch (2 positions) with metal buttons. • Materials - the main fabric - Cordura® 500D; Velcro® textile fasteners (manufacturer - Alfatex, Belgium). • Additional material handling - DWR (protects the product against moisture and oil); IRR (provides the invisibility of tactical equipment in the IR spectrum). • Linear product dimensions (W / W / D), cm - 20 x 10 x 4. • Weight, g - 300.